MadGrip Performance Hand Protection (MadGrip) manufactures a range of work gloves featuring patented injection molded technology for mining operations. The company combines thermoplastic rubber (TPR), polyurethane and nitrile dips to create a unique work glove, providing a strong grip, and abrasion and impact protection, while preserving comfort, dexterity and durability. 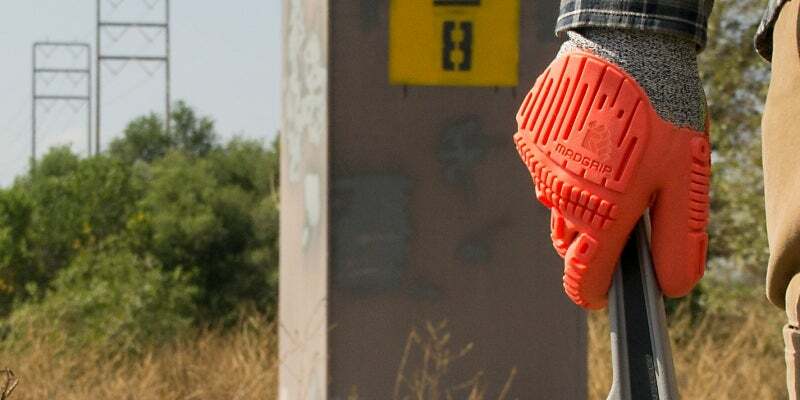 MadGrip’s Thunderdome uses contiguous-impact absorption (CIA) to create a cost-effective impact glove that provides total coverage of all critical impact, crush and pinch areas of the hand. The company’s ProPalm glove features an advanced oil and water-repellent tread system. The cushioned palm prevents hand fatigue and blistering, while the seamless support around the critical abrasion areas provides extended durability and vibration dampening. MadGrip’s Ergo-Beast has a water-repellent palm and an integrated full-impact area covering the back of the hand. It also features a sandy nitrile dip that protects the fingers and palm. The Ergo TPR gloves give impact protection on the metatarsal areas of the hand. The company combines knit liners with injection-molded TPR, so end-users can work with dry, oily or wet substances. Polyurethane or thermoplastic rubber palms are also available. The Ergo-Defender glove’s firmer TPR provides enhanced protection around the significant fingertip areas. The back of hand and the fingers are covered by a softer TPR, which provides extra flexibility and creates less forearm fatigue throughout the workday. Cut or non-cut versions are suitable for downstream, midstream or upstream applications. MadGrip’s Ergo-Impact glove includes an ergonomic, lower-profile metatarsal impact coverage area. A one-step, injection-mold process provides enhanced impact protection on thin gloves, making it suitable for drivers, mechanics and technicians. MadGrip has collaborated with leading fabrics and yarns suppliers to create a seamless impact glove, which is suitable for drivers, drillers, boilermakers, electricians and fitters. The company is part of Gordini USA, which was founded in 1956. MadGrip® Injection-Molded Glove Technology contours with natural skin creases of the hand to allow for the maximum range of motion, while still providing cushioning for your palm.